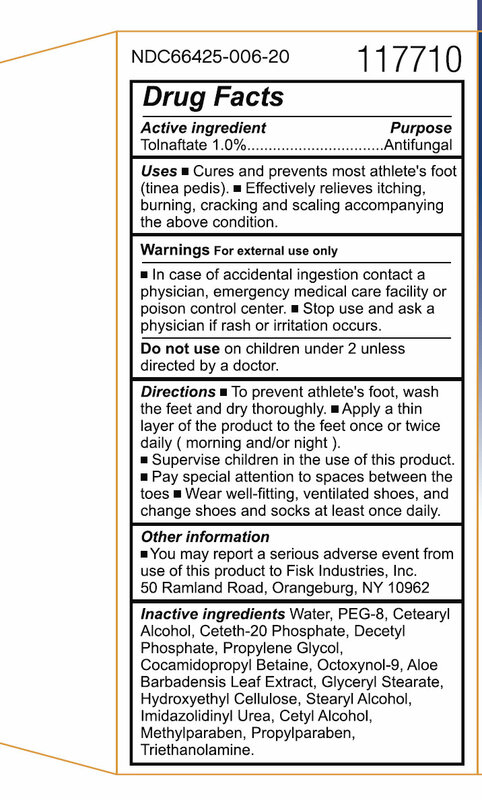 - Cures and prevents most athlete's foot (tinea pedis). - Effectively relieves itching, burning, cracking and scaling accompanying the above condition. - In case of accidental ingestion contact a physician, emergency medical care facility or poison control center. - Stop use and ask a physician if rash or irritation occurs. On children under 2 unless directed by a doctor. 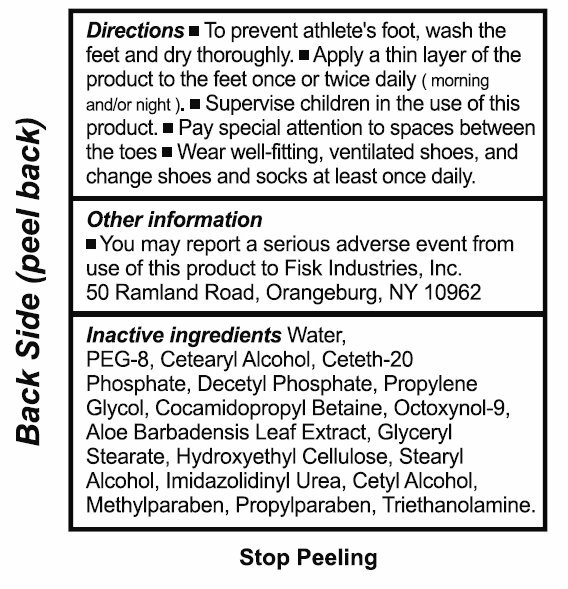 - To prevent athlete's foot, wash the feet and dry thoroughly. - Apply a thin layer of the product to the feet once or twice daily ( morning and/or night ). - Supervise children in the use of this product. - Pay special attention to spaces between the toes - Wear well-fitting, ventilated shoes, and change shoes and socks at least once daily. Water, PEG-8, Cetearyl Alcohol, Ceteth-20 Phosphate, Decetyl Phosphate, Propylene Glycol, Cocamidopropyl Betaine, Octoxynol-9, Aloe Barbadensis Leaf Extract, Glyceryl Stearate, Hydroxyethyl Cellulose, Stearyl Alcohol, Imidazolidinyl Urea, Cetyl Alcohol, Methylparaben, Propylparaben, Triethanolamine.